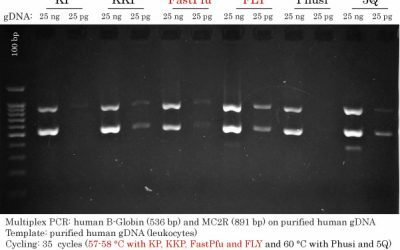 Blue Plus® II Protein Marker is composed of eight prestained proteins ranging from 14 kDa to 120 kDa. The protein of 50 kDa and 120 kDa are covalently coupled to orange dye. The protein of 14 kDa band is covalently coupled to yellow dye. The other five proteins are covalently coupled to blue dye. 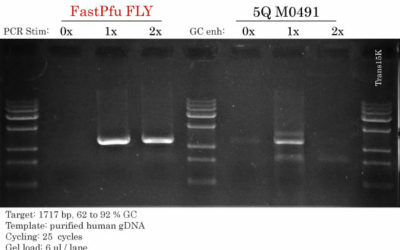 After SDS-PAGE and transferred to PVDF or NC membrane, colored protein bands are visually present and also show the orientation of the gel.